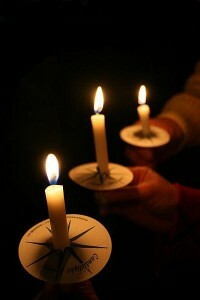 Sunday, December 20th at 6 p.m.
Our annual candlelight service will be at 6 pm on Sunday, December 20th. We hope you, your families and your friends can join us for this inspirational time of worship. Like last year, we will have a special time for children as a part of the service, as well as a gift for them afterwards. All are welcome. Join us as we celebrate the Messiah’s birth and look forward to His second coming!